Description : Deal 3 damage. 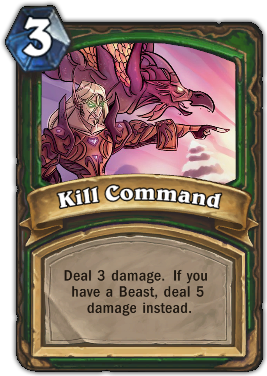 If you have a Beast, deal 5 damage instead. Quote : "Kill! ", he commanded.